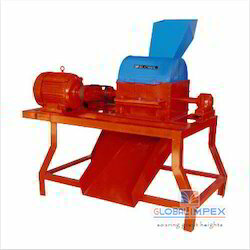 Pioneers in the industry, we offer soil crusher from India. Widely used in the quarry, building materials, roads, water conservancy and railway, this Soil Crusher is used for the purpose of crushing hard rocks and block materials. The offered product is very easy to operate and handle. Its high level of efficiency and quality makes it a quite preferred product. Manufactured using quality raw materials and a number of advanced machinery, this product has a very sturdy and highly durable construction. Looking for Soil Crusher ?